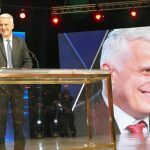 Pandeli Majko, the former Prime Minister of Albania addressed the National Council of Resistance of Iran (NCRI) and the People’s Mujahedin Organisation of Iran (MEK) in a gesture of solidarity with the Iranian resistance movement. The former prime minister introduced himself as “a friend” of the cause. “[The] MEK represents the Iran of the future”, he said to thunderous applause. Majko added that he was “so proud that together… we are in the hands of Madam Rajavi”, Mrs . Maryam Rajavi is the charismatic and influential president-elect of the Iranian opposition, whose ten-point plan has been championed across the world as the most viable roadmap to bring democracy to Iran. “One of the few women”, Majko continued, “that with her leadership [will] change not only the future of Iran but the future of [the] Middle East”. 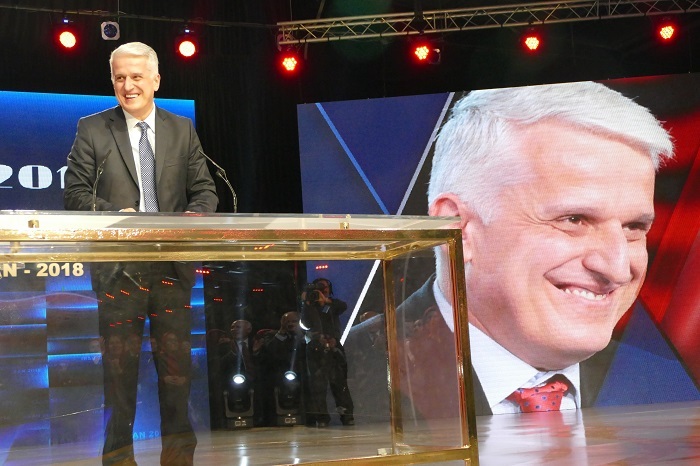 Majko addressed the recent misinformation campaigns of the mullahs that have sought to delegitimize the MEK and their allies. “I know that [there] exists a lot of news that MEK [are] terrorists”, he said. “We don’t care”, Majko said, “because we know you because you have come here under the umbrella of the United Nations and UNHCR. [The] UN… and terrorism are two different things”. The former prime minister also took a swipe at the Iranian regime’s own diplomatic operations within Albania. “[The] UN don’t have diplomats [and] use the status of diplomats [to] act like terrorists”, Majko said. The Iranian regime has long-used diplomatic buildings and diplomats to coordinate terror attacks on foreign soil. 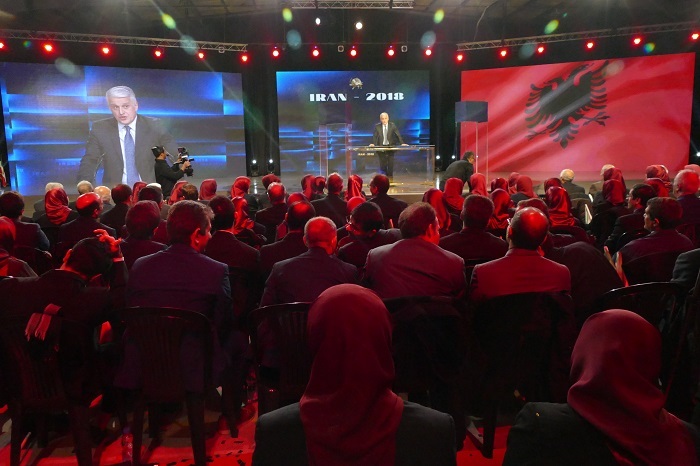 In 2018 alone, a plot was foiled in March in Albania where two Iranian agents sought to attack the MEK compound outside the capital, Tirana. In June, a diplomat from the regime’s embassy in Vienna was arrested over his involvement to detonate a car bomb at the MEK’s Grand Gathering event in Paris. “This time that is coming, a melody of a piano here in Tirana can sing like a song in all of Iran… like a song of freedom”, Majko proclaimed. However, he was adamant that in the meantime, Albania would be a welcoming host. “I am sure that… you and your families everywhere understand now that you are not only refugees… you are in your land here. Here you have a land”, he said. “We Albanians have an old expression”, Majko concluded, “my home is my castle. Albania is your castle”.